In the middle of any kind of major accident or disaster, the most important thing is to save as many lives and prevent as many injuries as possible. However, in the wake of such an event, the focus often shifts to helping victims put their lives back together, figuring out what caused the incident and finding a way to prevent others from suffering a similar fate. According to Professional Mariner, a recent incident that left a towboat and dredging vessel capsized may be well on its way to following the above-mentioned pattern. Reportedly, the incident, which took place just outside of Mobile, Alabama, resulted in both vessels sinking and left their crews in need of rescue. Prior to the boats capsizing, they were two of three vessels dredging the Mobile Ship Channel. The 26-foot dredging boat and 52-foot towboat were north of Gaillard Island when they capsized. The third towboat dredging the area called and reported that the vessels were sinking before rescuing the crews of both ships. The Coast Guard had yet to determine what caused the boats to capsize and was still investigating the incident at the time of this report. What Should I Do After My Towboat or Dredging Vessel Is Involved in a Boating Accident? 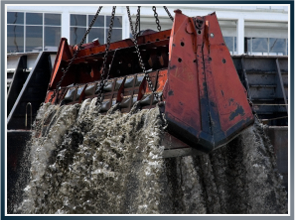 If your dredging or towboat accident was caused by the negligence of others, we may be able to you hold those responsible accountable and recover the compensation you and your family need for hospital bills and lost pay. To learn more about how our maritime trial lawyers can help you or to speak with us about your situation confidentially, call us today to schedule a free consultation. Latti’s Little Extra: Dredging is usually done to maintain or deepen navigation channels, according to the Environmental Protection Agency (EPA). Previous Could My Car Fall Off a Ferry Dock? Next Could a Ferry Crash Into a Pier?